We repair and replace high quality humidifiers widely used in North New Jersey due to their high performance, and durability. 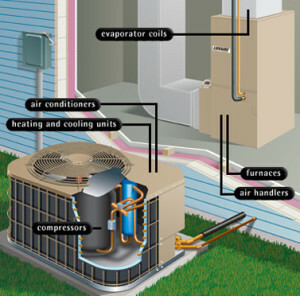 At Bergen Air Conditioning Company, we repair humidifiers at a fair price backed by full satisfaction guarantee. So, if you are planning to do so, call us now, and let us discuss with you the humidifier solution that is ideal for your home. They protect your home from the unhealthy effects of over-dry air leading to dry nose, sore throats, itchy skin and intensified asthma symptoms.so if you have any of these symptoms, give us a call and you will not go through another season with these problems. Note that daily activities such as cooking, doing laundry and showering do not produce sufficient air to stop your room’s air from becoming too dry. This situation is not healthy because according to medical experts, many bacteria thrive in low humidity increasing the possibility of catching respiratory diseases. If you are planning to repair a home humidifier, call Bergen air conditioning to learn more about the same and many other services we provide. When replacing a humidifiers, be sure to get it done right the first time to avoid causing problems of having too much moisture causing mold growth and air quality problems. Since there are many options, hence a high chance of replacing with the wrong model, call any of our qualified indoor air quality professionals, any time, and ask for advice. Regardless of whether you need a replacement of an entire home humidifier or a single room humidifier, our certified technicians are ready to install the same for you in the best way possible. Entire home humidifiers prevent premature aging of your equipment, and protect respiratory systems against bacteria and viruses. We provide high quality humidifier repair, installation or replacement guaranteed to ensure that your home has exactly the correct amount of moisture for your ideal comfort.